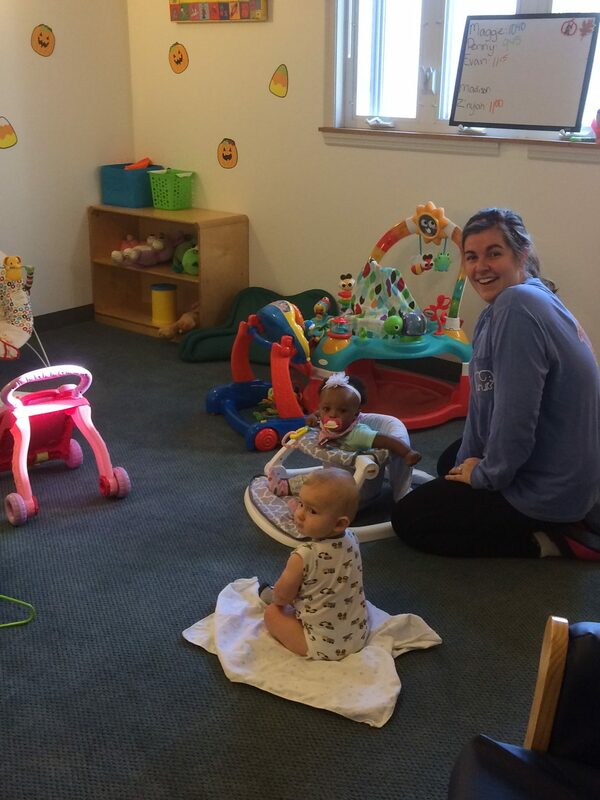 Centerville Child Development Center offers three infant-toddler programs for children. Each program is based on developmental theory and support in reaching developmental milestones in the areas of social-emotional development, language development, self-help skills and gross motor skills. Nutritional guidelines and changes in feeding routines are coordinated between parents and Lead Teachers. Lead Teachers have a minimum of three years’ experience or three years of formal training at the college level. Administrative staff with degrees in education, who meet weekly with them to review classroom routines, safety and health protocols and learner progress, supervise Lead Teachers. Learner progress and goals to achieve are communicated to parents during Fall and Spring parent-teacher conferences. Updates of learner progress are documented on daily notes by Lead Teachers, which are sent home with the children at the end of each day. Assistant Teachers help the Lead Teachers implement the daily routines and the individualized student goals. The Itty Bitty Room staff care for up to nine infants from six-weeks-old to twelve-months-old. Itty Bitty daily schedules are individualized for each child. Parents update written instructions for care on a monthly basis. Caregivers establish and coordinate feeding routines, nap routines and play activities. The Itty Bitty Room opens at 7:15 a.m. and closes at 6 p.m. The Performers Room staff care for twelve infants and toddlers from nine months to 24 months. The Performers Room daily schedules change three to four times a year to reflect the growth changes of the children. Typically, play activities are offered throughout the day. Group snack time is scheduled at 8:15 a.m. and at 2:15 p.m. Lunch times are staggered from 11 a.m. to 12:45 p.m. Morning nap is available, and afternoon nap is scheduled as early as 11:45 a.m. until wake-up time. Story time, songs, outdoor play and art are scheduled throughout the day. The Performers Room opens at 7 a.m. and closes at 6 p.m.